As a performer, it is essential that you keep your instrument in pristine condition. Most players don't seem to be bothered about cleaning their instrument often enough. If you rely on your instrument to earn a living you may form a different opinion. It's a bit cut-throat out there and the difference between having a pure tone quality and a muffled uninteresting sound could mean the difference between getting the gig or not. Not to mention the hygiene problems that could develop. Cornets were developed from basically a post horn, which over time was curled and developed into the form you see today. 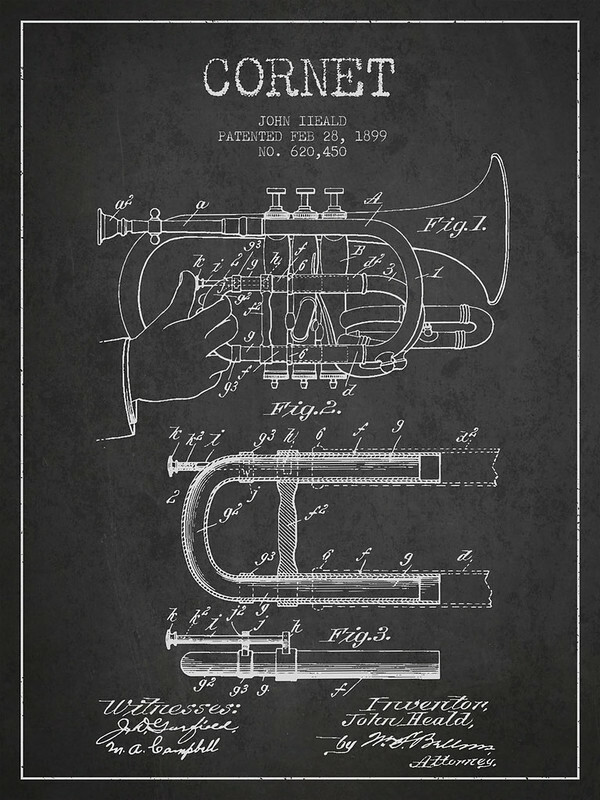 Valves were added which allowed more playable notes and dexterity of performance. It's the careful manufacturing and handwork that make it into a cornet that plays well. Take care of your instrument and it won't let you down. There is nothing worse than being in the middle of a show and your valves or slides start to stick. It can ruin a perfectly good performance. Cleaning the cornet should only take about 10 to 15 minutes of your time and the results are more than beneficial to your playing. You would be surprised at the "gunge" that appears out of the tubes after a good clean. So let's begin. Run a warm bath - Yes a bath, and put a small amount of dishwashing soap into it. Check with your product information or your manufacturer's website to make sure before you use it. Pull all the valves and slides out of the cornet and place everything submerged under the water - Leave to soak for about 30 mins. That was easy! Note - you may have to disconnect the "triggers" on the first and third valve slides if they are fitted. Now it's time to put the pull-through brush to work. Gently feed it into the tubes of the cornet and pull through the brush, watch out for the "Gunge". Do this a couple of times and then rise the cornet tubes out under running water until it runs clear. Do this now to all the removable slides as well. Now using the valve brush we need to clean the valve casing. Just push the brush in and out a couple of times and all should be well. Now turning to the valves themselves. First of all you need to clean the internal surfaces of holes. You can also use the pull through for this but be careful not to scratch them. Using a Silver polish and the lint free cloth, now clean the valves outer surface, dry off and polish with a separate clean rag. Now the Slides. Again using the silver polish clean the slides. If your cornet is of the lacquered type (brass looking) DO DOT use silver polish on the external surfaces. This attacks the coating. Finally, clean the inside surface of the valve caps both top and bottom again with a soft rag. After all, the internals of the cornet is clean, its time now to clean the external surfaces, again remember if it is of the lacquered type just soap and water will clean it. Otherwise, on silver-plated surfaces use your metal. Now it's time to re-assemble the cornet, oil the valves and 1st and 3rd valve slides, and grease the slides. If you have triggers on your instrument on the first and third slides it is better to use valve oil on them as they will move faster. Trevor Halliwell has been a band player and director for 45 years with college diplomas in trumpet performance and music education. For more information about playing the cornet or trumpet, please visit http://www.trevorhalliwell.co.uk/ - Author Name: Trevor Halliwell - Contact Email Address: trevorhalliwell@gmail.com Trevor Halliwell (http://www.trevorhalliwell.co.uk) is a Cornet/Trumpet performer and teacher in the North West of England. He is a Fellow of the Trinity College of Music London.